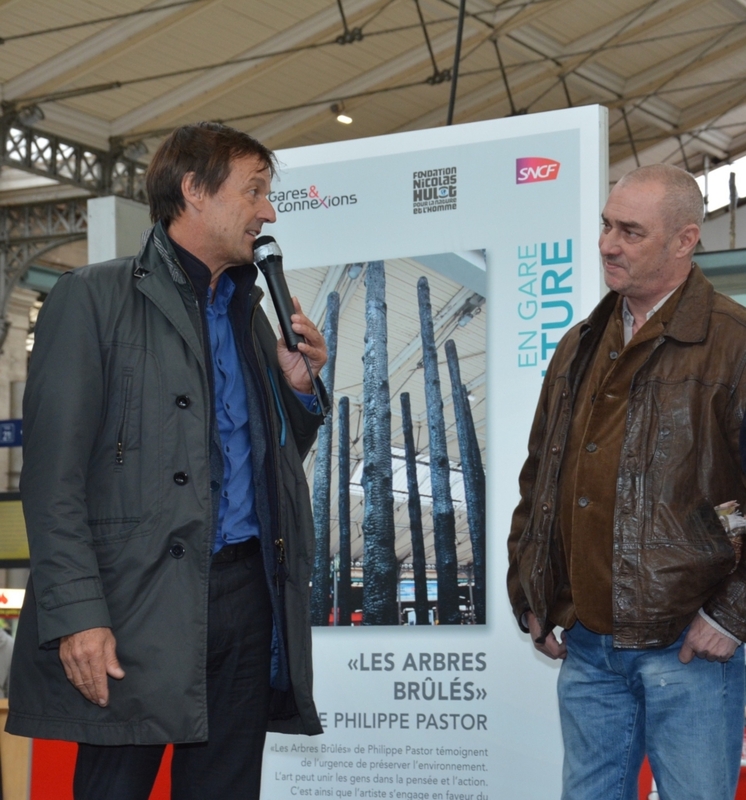 On the occasion of the 20th anniversary of the UN Convention to Combat Desertification (UNCCD), adopted in Paris in 1994, and preparing the COP21 in Paris, Art & Environnement Association, in partnership with Gares & Connexions (SNCF) and the Fondation Nicolas Hulot present Philippe Pastor’s “Burned Trees” sculptures, at Paris-Nord railway station. 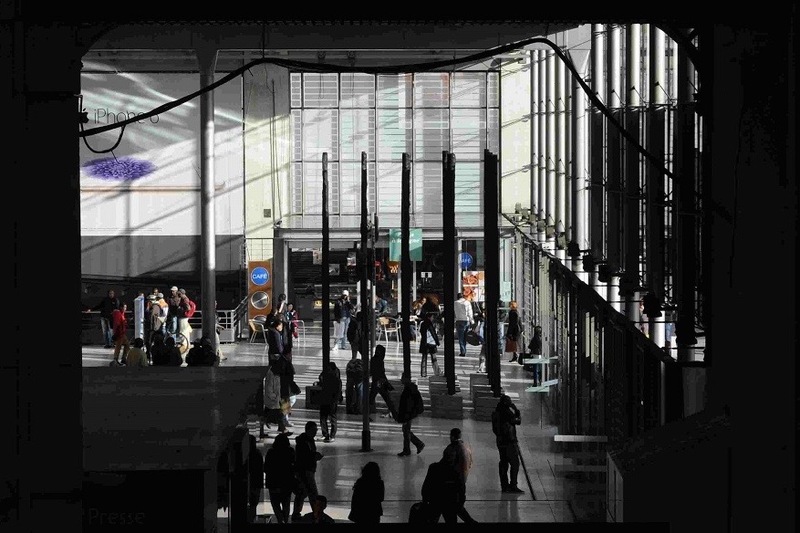 The exhibition will be held from October 22 to November 25, and will be followed by a tree planting campaign in Madagascar in 2015. 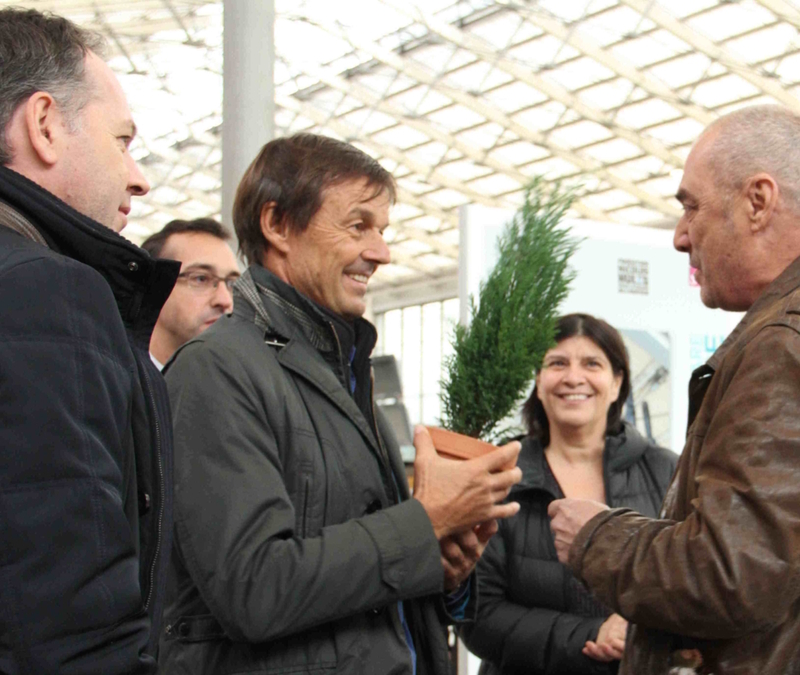 On Tuesday 25 November, to mark the end of the exhibition, Philippe Pastor has offered a tree to Nicolas Hulot, President of FNH, Rémi Féraud, Mayor of the 10th arrondissement of Paris, Pénélope Komitès, Executive Assistant to the Mayor of Paris, in charge of Green Spaces of Nature and Biodiversity and to Patrick Ropert, director of Gares & Connexions, as a symbol of its commitment to plant 10 000 trees in Madagascar.